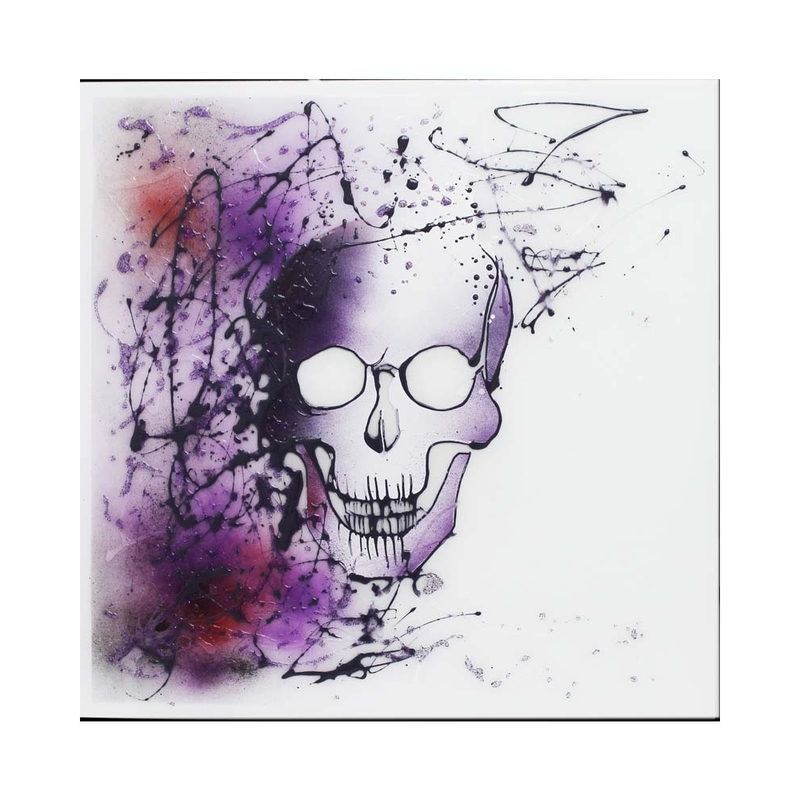 Add a edgy but chic look to your home with our new Abstract Purple Sprayed Skull on White. This exciting and eye-catching design is the statement piece your home needs. Hand finished in the UK and along side our set sizes you can also get yours custom made to your desired size. This piece also has cluster crystals in the skull design, which are encased in glitter liquid glass.